Back in 2009, Sean Costello and I wrote an ASPI paper called How to buy a submarine  (PDF). I’m still writing about submarines, while Sean now has the job  of actually delivering a dozen of them. It’s a big job, and at times it’ll be a thankless one, but at least he’s been thinking about it for a while now. Some of the things we wrote about back then have since been sorted out. For example, we suggested that the new boats would be over 4,000 tons if they were to meet the then extant requirements as described in the 2009 Defence White Paper. For a little while, it looked as if Defence was backing away from those requirements a bit, with a public statement that the Collins range and endurance parameters were still fit for purpose . But the Shortfin Barracuda (video ) will be 4,500 tons surfaced  (PDF) compared to the Collins at 3,050 tons. The difference in size can be partly explained by the possible inclusion of air independent propulsion and a greater payload of weapons, but there’s still many hundreds of tons unaccounted for—which suggests a boat with a greater range and endurance than Collins, as well as being stealthier and having better sensors. Sean and I suggested at the time that aiming for a quantum leap in performance above Collins would result in a price tag around the $36 billion mark. We caught quite a bit of flak about that , but when Sean and his collègues sign the contract, I’d expect our prediction to be pretty close to the mark. We also wondered what would become of the government-owned ASC. That hasn’t been sorted, and it’s be important to work out how the nation’s shipyards will be structured before we embark on the five naval construction projects on the books concurrently: the subs, the yet-to-be-completed air warfare destroyers , the Pacific Patrol Boats , the Offshore Patrol Vessels  and the Future Frigates . Similarly, we’ll need to work out who the combat systems integrator will be—a very important role when we’re putting an American combat system into a French submarine. The order book’s awfully full for Australia’s small shipbuilding sector—especially given the problematic state of Defence’s engineering workforce identified by the Rizzo Review , and recently reviewed by the Parliament . And there are time pressures on the shipbuilding projects, with the government announcing  that steel would be cut on the OPVs in 2018 and the frigates in 2020, moves designed to minimise shipyard job losses. Shallowness in engineering stocks and haste in getting fabrication underway is a dangerous combination from a best practice project management perspective. Before any steel work begins, we’ll need to make sure that the Navy’s requirements are captured and designs finalised (or at least very close to it). Systems engineering principles identify several key steps that have to be taken before proceeding to production if cost and schedule risks are to be managed. ‘It’s intuitively obvious that incorporating mature technologies is less risky than betting on ones that are still under development. 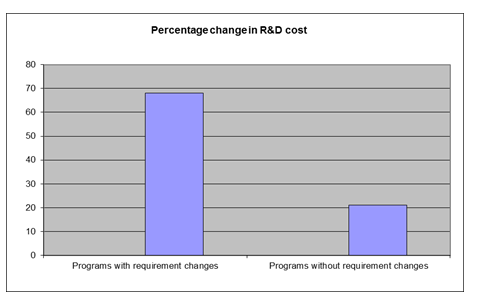 But it’s instructive to see the quantitative impact of each approach in terms of the impact on project cost and schedule. 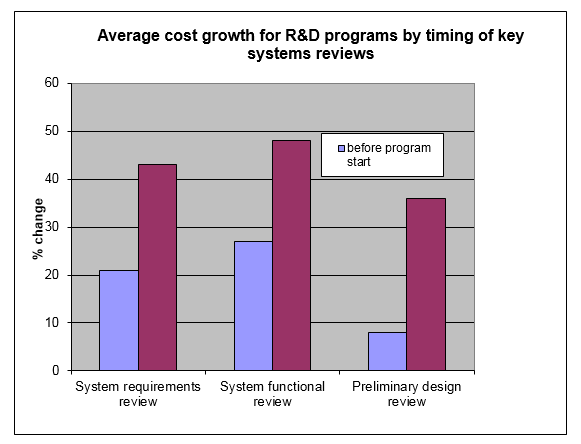 Figure 2: the effect on program cost growth of changing user requirements after work has begun. 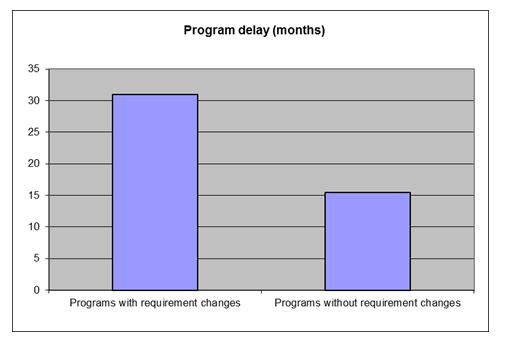 Figure 3: the effect on program schedule of changing user requirements after work has begun. Sean will remember those lessons, and systems engineering best practices will be deeply ingrained in DCNS engineers. That’s why I don’t expect steel to be cut on the first of the new submarines much before 2023. But the surface vessel programs are due to start well before that, despite the initial selection processes not being finished yet, let alone detailed design work. For a preview of what might be in store for us, have a look at mess caused by the delay to the start of the Type 26 frigate program  in the UK. Danger, danger, Will Robinson!